Wondering something? Find answers here! Why are some items only available in the Allegro store and not from Allegro online? What sets Allegro apart is our customer experience. 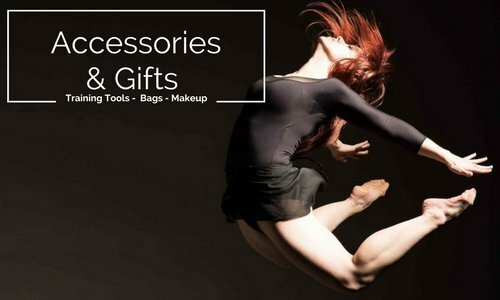 Our talented team is 100% dancers, and they are here to not only help you to find just the right products, but to be your partners in dance. Whether that means picking out a leotard that is flattering for your body shape, teaching you how to break in your pointe shoes, suggesting a new dance class to try, or recommending just the right pair of leg warmers, we're here to help. However, not everyone can visit our store so we have made many of our selections available to you online. We are proud of our ever-changing selection of merchandise at Allegro - some styles are here and gone so quickly it just wouldn't make sense to put them online. We do try to make available online as many selections as possible. Where are you located? What is the best way to get to your store? Our second Allegro location is in Barrington, IL. We are located in the heart of the Downtown Barrington Village shopping area, which is also filled with lots of other great independent boutiques and businesses. There is plenty of parking on the street and in parking areas maintained by the Village. We are also only a block from the Metra (Union Pacific/Northwest Line) Barrington Station. We hold many sales throughout the year that you can find out about by "liking" us on Facebook or signing up for our email list. On a daily basis, we offer a professional discount for dance teachers and active professionals. In addition, students who attend studios listed as "Duets" partner studios qualify for discounts on required classwear. 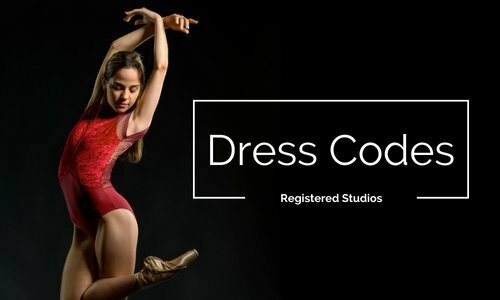 Do you have information regarding dress codes at specific studios? Yes! If you come in asking for dance clothes for your child or yourself, chances are that one of the first questions you'll hear from us will be, "Where are you taking class?" If we don't know what to grab you immediately, we'll check our trusty dress code binder that contains up to date dress codes of as many dance studios as we've been able to collect. If you're coming from outside the Chicagoland area, we might not know which leotard color or shoe brand to suggest, but we'll be happy to look it up online for you while you shop. I want to take a dance class. Where should I go? We love helping people out with this question. Whether you're a new or experienced dancer, there is a studio out there that is right for you. We are lucky to be surrounded by a plethora of amazing dance studios and even have a display in both of the boutiques with dozens of studio brochures. We would be happy to speak with you about your specific needs and preferences so that we may point you in the right direction. Do you carry stuff for adults? Yes! In fact, most of our boutique is full of adult sized clothing. 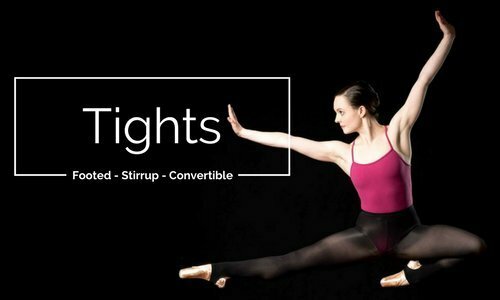 We're proud to be "not your average dance store," offering products that advanced dancers truly need and want for class. We have gained a reputation for offering a bigger "fashion" leotard selection than many other dance stores, mostly because we're run by all dancers, and we're simply leotard addicts ourselves. Our child size clothing runs from size 2-14, and our adult sized clothing goes from there all the way up to 4X in some styles. Do I have to be a dancer to shop at Allegro? Of course not! Our tagline is "apparel for bodies in motion" because we're proud to be a shop that isn't just for dancers, but for all bodies that move. Much of our apparel can be worn for any form of exercise, and we wear many items from Allegro "on the street" as a part of our normal wardrobe (leggings under dresses, crop sweaters over dresses, etc.). In children's clothing, we offer both gymnastics and ice skating apparel. For adults, we carry items for dance, yoga, and every day. Yes! You can purchase a gift card in person at the boutique. If you're far, far away, or just don't feel like leaving home, you can buy a gift card over the phone. We'll mail the gift card out to you or your gift recipient. Treat your gift card like cash as it cannot be replaced. Gift Cards are final sale. Do I have to have my gift card with me to use it at the boutique? Yes. Your gift card is like cash. We do keep track of gift cards but will not apply a gift card to a purchase merely on your say so If you do not have it with you, we cannot apply it. Do you have an email list or newsletter? Yes! Second to our Facebook and twitter page, it's the best way to find out about sales and events at the boutique. Stay in the know. Sign up now through our contact form! We accept Visa, MasterCard, American Express, Discover, In State Only Personal Checks (with ID), Cash, and Allegro gift cards. Unwashed and unworn merchandise may be returned to the boutique for a FULL REFUND within 5 days of purchase. All hangtags must be attached to the garment and proof of payment must accompany the garment(s) at time of return. All garments are subject to inspection. Shipping costs are not refunded. Note: Sale items, tights and underwear may not be returned. Gift cards are final sale. Are there any items that can’t be returned/exchanged? Tights, underwear, sale and clearance items, and gift cards are final sale. Once tights have been tried on, they are considered used. Because it is impossible to tell whether or not a package of tights has been opened or not, we do not accept tights for return, so that we are sure to not be selling used tights to our customers. Similarly, we don't take returns on underwear. We know big businesses like Victoria's Secret do, but we, frankly, think that's a little gross. We want to sell you underwear that has never been worn. We sell far too many brands for one size chart to work for them all. If you would like to see a size chart, call us or stop by the boutique and we will do our best to locate a size chart for the particular brand you're interested in. Yes, we have two Allegro locations, one in Evanston and one in Barrington, IL. See above. Sign up for our email list or like us on facebook and we'll let you know when something fun is going on. 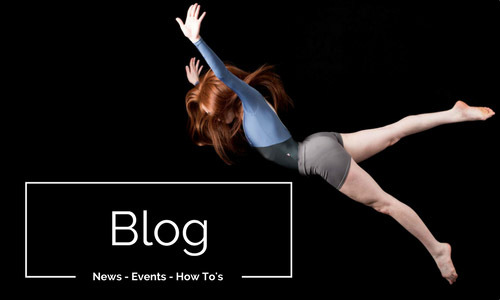 What is the optimum way to care for dancewear? Most of the items in our shop list care instructions on the tag and can generally be washed warm and put in the dryer. For longer lasting garments however, we recommend dancewear be washed in cold water and then hung or laid flat to dry. We’re speaking from years of combined dance experience here! Another tip: Do not use fabric softener, as this will inhibit the fabric's wicking abilities (if it has any). Does Allegro offer a catalog? Not at this time. We have accounts with the vast majority of major dance apparel and shoe vendors popular in the U.S., and several of the smaller ones. We have access to far too many items to include them in one catalog. Moreover, we like to stay on our toes and bring in new and fun items that we weren't expecting, and sometimes they here and gone before we would even have a chance to put them in a catalog. 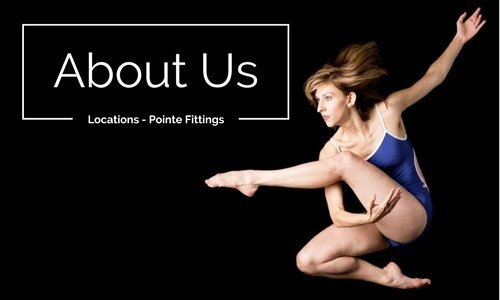 Our tagline is "apparel for bodies in motion," because we carry a wide variety of products for several different genres of dance and movement, including exercise, yoga, ice skating, gymnastics, ballet, tap, jazz, ballroom, lyrical dance, etc. That said, we have found our greatest strength lies with ballet dancers, and more specifically, pointe shoes. Whether it's your first pair or your hundredth, we're the place to go. What is Allegro's mission statement? Improve the lives of dancers and other bodies in motion by providing them high quality products, exceptional customer service, and an environment as beautiful as what they do. Re-imagine the dance retail experience. What are Allegro’s core values? We were so inspired after reading "Delivering Happiness" by Tony Hsieh during our Allegro Book Club, we created our own core values, many of which we decided were perfect for us as is (numbers 3, 5, 6, and 9 are also Zappos core values). Where did the Allegro name and logo come from? First started in 1993, the original name of the business was “Before the Ballet.” Under new ownership in 2007, we knew we wanted to change the name. We held a “Rename the Store” contest with our customers in 2008, and "Allegro" was the winning entry made by local dancer, Jennifer Nakashima. The winning tagline entry, "apparel for bodies in motion" came from an anonymous entry, alongside the store name suggestion, Kinetic Couture (although we loved this name too, we didn't think the items in our boutique could technically be called "couture"). 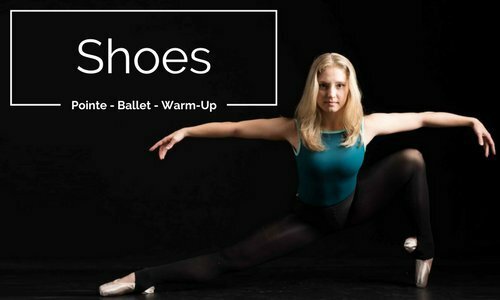 What do I need to know for my pointe fitting? Please do not arrive later than ONE HOUR before store closing if you need a full pointe shoe fitting. Please allow about an hour for your fitting, although you may be done sooner if you are coming for a quick replacement or know exactly what you want to try. Please bring your old pointe shoes, your current toe pads, and any accessories you wear inside your shoes. Please also wear a pair of convertible tights if possible. Make sure your toenails are trimmed, but try not to cut them the day of the fitting, as this can cause sensitivity and will affect your perception of fit. Please show your pointe shoes to your teacher for approval BEFORE sewing on ribbon and elastics. Shoes may not be returned once they have been sewn. Footsie roller because your feet are going to be sore! If this is your first fitting, click here! Congratulations on being approved for pointe! Fitting appointments for beginners are a must. Your first pointe shoe fitting is very special, and we want to give you the full Allegro experience! We’re so excited about your accomplishment and want to have the time to teach you what to expect and how to sew and care for both your shoes and your feet. Please allow 90 minutes for your first pointe shoe fitting, although you may be finished in an hour. It is to your benefit to try several different kinds of shoes before we find one that is right for you. Every foot and every dancer is different. Before getting pointe shoes, you MUST have the approval of your ballet teacher. Pointe shoes are not for beginning ballet students! Please consult with your teacher beforehand to get any specific suggestions about pointe shoe brands and toe pads. Wear a pair of tights if possible and something you can move in.